Rated Capacity.........8-Passenger or 1600 lbs. one tram can be connected to another. 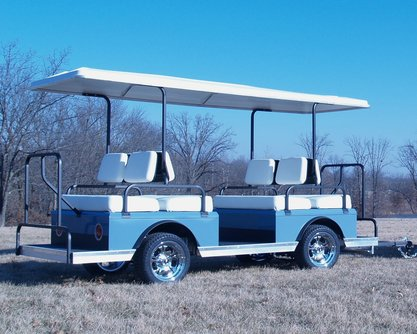 ​No brake wires to connect, each Golf Car Tram has mechanical surge brakes. When the lead car stops, every Golf Car Tram stops on its own.